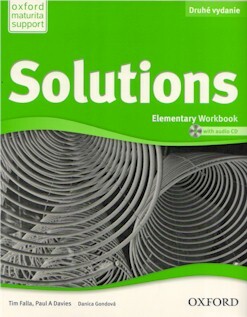 The Solutions Second Edition Workbook and Audio CD Pack supports the Student's Book content with plenty of extra practice and revision, while the CD provides a huge number of extra listening opportunities. Perfect for mixed-ability classrooms, the Workbook provides extra reading and writing revision and reference material for weaker students, as well as Challenge and Vocabulary Builder extension activities for stronger learners. The accompanying CD means that students can extend their listening practice beyond the classroom. The regular reviews allow teachers to monitor their students' progress, while continued revision of the material builds students' confidence.